This first story is in keeping with the spirit of the Christmas season. Right after Thanksgiving a Phoenix hiking group erected a 15-foot Christmas tree at the summit of Camelback Mountain. Within a day someone had cut the tree’s top half down and stole it. Park rangers removed the bottom half instantly. Phoenix (the Grinch of this story) has a “leave no trace” policy in its parks and refused to allow the group to replace the tree. After discussions with the group, Phoenix relented and will allow the Christmas tree to be up for a month. Here is the link to the story: http://www.azcentral.com/story/news/local/phoenix/2016/12/02/camelback-mountain-new-christmas-tree/94826794/ hootPostID=e6b4bacfb975fca570a98e83f2a0f9f3 . A win win solution for everyone showing that even a Grinch can have a heart. Good for you, Phoenix. Not so with Glendale. Tony Escamillo erected a United States flag at the summit of Thunderbird Mountain Park symbolic of our national pride and out of his love of country. It keeps getting removed. By whom? None other than the City of Glendale. Another Grinch identified. Sometimes rules are meant to be broken and this could be one of those ‘sometimes’. Come on, Glendale, make this an exception. Perhaps there is a reader out there who will start a Go Fund Me account for permanent placement of our country’s flag on Glendale’s one and only mountain top. Here is a link to this story: https://www.facebook.com/FOX10Phoenix/videos/1188934381155107/?pnref=story . The next story is a cautionary tale for Glendale’s Convention and Visitors Bureau (CVB). Experience Scottsdale (previously known as the Scottsdale Convention and Visitors Bureau) was audited this year. Here is a link to that story: http://www.azcentral.com/story/news/local/scottsdale/2016/12/01/city-tourism-audit-ciritical-experience-scottsdales-high-pay-lack-focus-city/94353844/ . The major thrust of the audit was on Experience Scottsdale’s executive salaries. At the present time that is not an issue for the Glendale CVB and is irrelevant but some of its other findings are worth paying attention to. This group receives half of Scottsdale’s hotel-sales-tax collections each year, amounting to about $9.4 million in fiscal year 2016. Glendale also allocates a portion of its bed-hotel-sales tax collections to its CVB. Currently, $30,000 of its total hotel-bed-sales tax will be used to promote the Civic Center. While Glendale’s hotel bed-sales-tax numbers are not as grand as those of Scottsdale with its bounty of hotels, especially high-end ones as more hotels come on line in Glendale, that bed-sales-tax number will become more significant. Scottsdale’s audit report discovered that of the 536 convention bookings, only 297 were actually on Scottsdale properties. In another instance, the Scottsdale CVB reported 167,000 room nights as a result of the conventions booked. Actual room nights in Scottsdale proper were about half that number, 84,000. The Scottsdale CVB has 411 members but 180 of its members, or a little less than half, are outside of Scottsdale so the benefits to its members do not translate as exclusive benefits for Scottsdale businesses. The Scottsdale CVB reported 2.6 million visitors to its website but failed to account for repeat visitors in that reported number. The audit revealed the economic impact related to visitor inquiries at Experience Scottsdale around $262 million, about 16 percent less than the figure reported by the CVB. The Scottsdale audit recommended that its CVB set annual goals based on the previous year’s results; that it prioritizes Scottsdale-based businesses; and that it annually submits documentation that verifies its performance claims. That sure does sound like a strategy the Glendale city council should adopt. The last story is about Buckeye and is in the ‘what in the world?’ category. In April of 2015, about a year and half ago, Buckeye purchased Global Water Resources for $55 million dollars. The deal was touted as being more efficient. Residents were assured that current customer water rates were sufficient to cover the expense of the acquisition over a 20 year period. The city said that opening up the areas previously served by Global would generate new development. It said there would be new sales tax, property tax and employment as a result of the enhanced water system. Here is the link to the original 2015 story: http://www.azcentral.com/story/news/local/southwest-valley/2015/04/06/buckeye-adds-new-water-customers-promises-benefits/25269607/ . Obviously something went terribly wrong. Over the past few months suddenly Buckeye water customers have had bills that spiked – upwards of $400, and some as high as $1,400. There is nothing that makes a resident sit up and take notice more than an issue that hits the pocket book and this surely did just that. Residents made noise and filed complaints with the city. Nothing has happened except for the sound of crickets chirping. On November 22, 2016 residents had had enough of the city’s inaction and so filed a recall petition against Mayor Jackie Meck. Here is a link to the story: http://www.azcentral.com/story/news/local/southwest-valley/2016/11/30/high-water-bills-prompt-recall-effort-buckeye-mayor/94634980/ . Meck, in response, acknowledged “some growing pains” as a result of the city’s purchase of Global. What might they be, Mayor Meck and why haven’t you shared them with your residents? More crickets chirping. It has been my experience that a city’s mayor knows exactly what’s going on with everything even remotely city-related. Meck says he’s “working on it” but it’s a little late for Meck to suddenly play dumb. Jackie Meck has been around for a long time and seems to represent the good ole boys of Buckeye. His response has been to say, “I have lived in Buckeye all of my life. Through it all we have never gone through a recall. It is not how we have settled our differences.” It appears that Meck is ignoring his residents at his peril. Didn’t we all just experience something similar on a national level as the Democrats ignored their core constituency of the working class resulting in their election losses? It would seem that anyone running against Meck this time around has a good chance of unseating him (despite his recent August reelection victory) for it’s obvious that there are a lot of angry Buckeye water customers out there and they, too, are being ignored. They just may express their anger and frustration through the ballot box as well. It has been 17 years and 150 days since the city’s pledge to build the West Branch Library. The Arizona Republic of June 1, 2015 has a front page story by Peter Corbett entitled Glendale staffer quits over altered arena audit. Here is the link: http://www.azcentral.com/story/news/local/glendale/2015/06/01/glendale-staffer-resigns-arena-audit/28289641/ . Corbett reports that Assistant City Auditor Andrea McDermott-Fields resigned as a result of a conflict with City Auditor Candace MacLeod over the Coyotes audit. A little history is in order. Two years ago the city audited its Risk Management Trust Fund. The audit was performed by MacLeod. MacLeod was supported by and worked very closely with former City Attorney (now attorney for IceArizona) Craig Tindall. MacLeod was part of the Frisoni-Burdick group that lobbied me (and I assume, other councilmembers) to appoint Craig Tindall as Interim City Manager rather than Horatio Skeete. This is “inside baseball” stuff and wouldn’t be commonly known. I, and I assume the other councilmembers, were not aware of the fact that MacLeod’s husband did contract work in broadcasting for the Coyotes until 2011. Just as in the case of former Assistant City Manager Julie Frisoni and her husband’s work for Insight Technology (a company that recently received a contract renewal from the city) there is a perception of conflict of interest. Just as Frisoni should have signed a disclosure statement it would have been prudent for MacLeod to divulge her possible conflict in reviewing the Coyotes recently submitted audit. The perception, rightly or wrongly, is that MacLeod might have had a reason to insure that IceArizona, owner of the Coyotes, didn’t look too bad. What makes this situation even more questionable is that IceArizona stalled on releasing its audit. It should have been submitted to the city no later than September (60 days after the end of the Fiscal Year which ends June 30th). The city didn’t receive it until recently. In anticipation of receiving the IceArizona audit in a timely fashion the city hired Tony Tavares (once part of a group interested in buying the Coyotes) to audit the IceArizona submission. Presumably Tavares’ audit was completed and turned over to the city for confirmation. That is where MacLeod enters the picture. MacLeod assigned the job to McDermott-Fields but would have reviewed and approved the final work product. MacLeod’s statement to Brown raises so many red flags I’m not even sure where to begin. In the article McDermott-Fields stated, “She is certified as an accountant, internal auditor and fraud examiner, adding that she has more than 25 years of experience.” Add to that she appears to have no ties or relationships to anyone associated with IceArizona and the Coyotes. She probably has more experience than MacLeod. She appears to be a neutral party and called it as she saw it. It seems as if MacLeod trashed McDermott-Fields’ work because she didn’t like the result. I am also intrigued by McDermott-Fields’ comment, “MacLeod seemed hostile to her when they met to discuss the audit findings and (MacLeod) ‘accused me of throwing her under the bus’.” That also raises red flags. What was MacLeod upset about in McDermott-Fields’ audit findings? Who is MacLeod trying to protect? The city, IceArizona or both? No, something stinks about the whole situation. It appears to be another CYA move by Brown and Tom Duensing in an effort to avoid city embarrassment because an employee called the audit as she saw it and it might have shown that the city was being short changed by IceArizona in the revenues it received. The shame of it all is that we will never know the results of the city’s audit. Why? Because former City Manager Brenda Fischer, in an apparent stunning lack of competence, signed a separate agreement with Anthony LeBlanc of the Coyotes, agreeing to keep the audit confidential. She didn’t have to do that. The management agreement between the city and IceArizona stipulated that the city has the right to audit and there was no requirement of confidentiality. If the agreement had been followed without the separate Fischer-LeBlanc amendment the audit would be publicly available. Then we would know who was right in her findings…MacLeod or McDermott-Fields. Somehow or another I’m betting McDermott-Fields was right on the money. 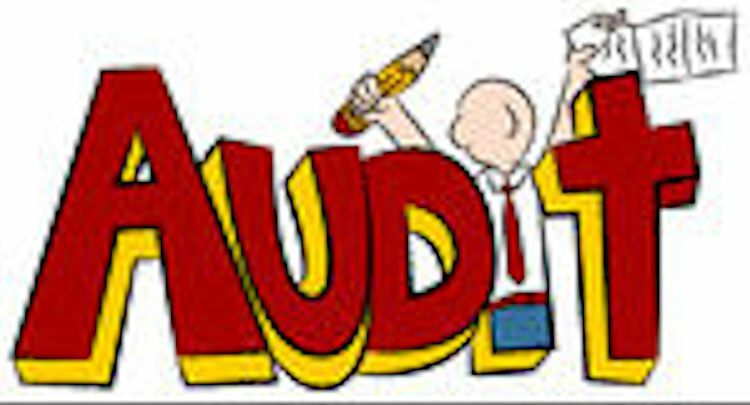 At the Tuesday, March 26, 2013 City Council meeting an agenda item will be a vote of approval to hire Haralson, Miller, Pitt, Feldman & McAnally (HMPM), P.I.C., a law firm, to perform the special external audit this council has been craving. It doesn’t come cheap. The cost of this contract is $200,000. HMPM will subcontract out some of the work to Butler, FFG, and ESI. It is not clear from the staff report what would be the scope or responsibility of any of these firms. It is also not clear what their specialties are. The costs per hour range from a high of $400.00 per hour for a principal to $100.00 per hour for a paralegal/law clerk. Simple math shows that the number of hours billable for this contract range from 500 hours (about 12 ½ weeks) to 2,000 hours (about 50 weeks). This exercise could be completed in 3 months to a year. I think we can expect it to be completed this summer. This is not a budgeted item and is not included in the current Fiscal Year 2012-13 adopted budget. 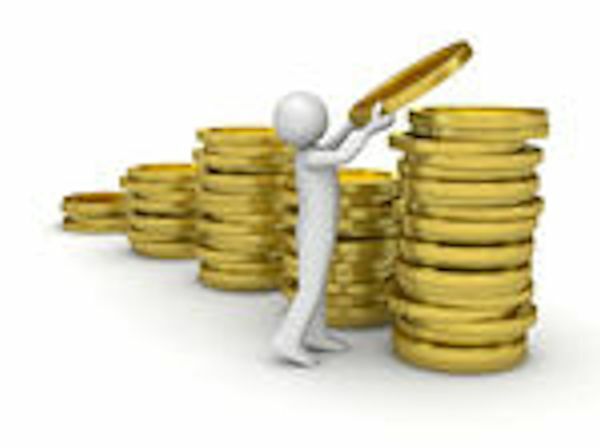 That means that the money will have to be allocated from somewhere in the budget. 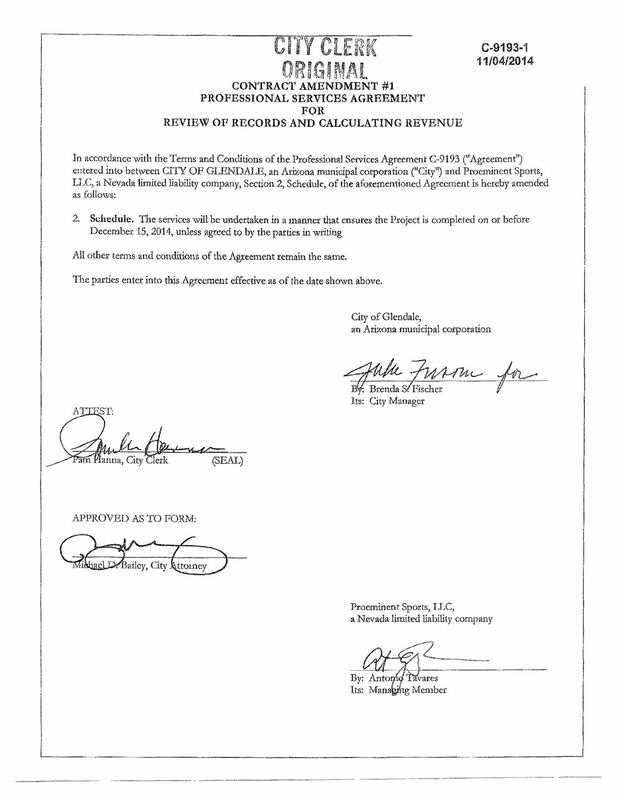 Look for the payment of this contract to come from the $17M set aside for an arena lease management agreement. By the time this council’s agenda is met we won’t see much of the $17M left to pay anyone to manage the arena. Expect at this same council meeting the hiring of Mr. Richard Bowers, former Scottsdale City Manager, as Glendale’s Interim City Manager until the search and hiring of a permanent city manager is completed. Expect the council to approve Mr. Nick Depiazza, current Chief Deputy City Attorney, as the Interim City Attorney, until a permanent City Attorney is found and hired. 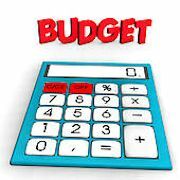 On Wednesday, March 27, 2013 and Thursday, March 28, 2013, council will participate in two budget workshops starting at 9am each day. This year’s budget workshop book is a hefty 284 pages of reading guaranteed to entertain and delight. Just crank up your printer, go to the Glendale website, find the agendas under the City Clerk’s page and you can print your very own copy just as I did. If you know where to look you will be able to spot the shifts in policy based upon where this council allocates available resources. Still looming is how this council will address the loss of $22M in revenue currently being earned by the sales tax increase slated to sunset in 2017. The general feeling among council is that the city will have recovered by then and will easily absorb the $22M loss in sales tax revenue. There appears to be no will to be fiscally prudent and continue with cuts in anticipation of that loss of revenue. If they do not have the will to make gradual cuts each year for the next four years, they will be forced by circumstance to make draconian cuts in 2017. It’s very simple; karma catches up to you every time.